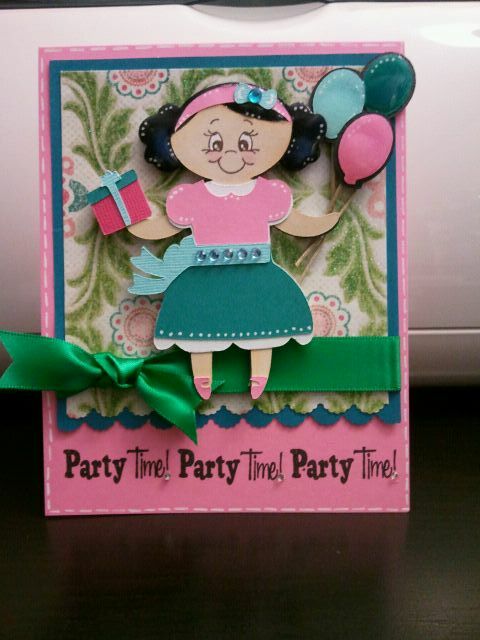 Techniques by Trish: Creative Scraps Challenge Week #2- "Open to the Public"
Creative Scraps Challenge Week #2- "Open to the Public"
So as you know this weeks Creative Scraps Challenge Week was ALL about Birthdays! Cristi is in charge of posting this week so head over to her blog to join the challenge....click HERE! For those of you who are new to the challenge--- Every other week we challenge ourselves, whether it be with a theme, color combo, certain cartridge and we showcase our work all week long. Then on Sunday(this week its today because of Momo's blog hop tomorrow), we have an added element to challenge us and we open the challenge for one week to all of you!!! So in short, we offer inspiration to you all during the week and then open the challenge up for entries for a whole week! And normally.....there is blog candy involved! We also have 2 FANTASTIC GUEST DESIGNERS TODAY!! They are personally some close blogging friends of mine and I absolutely adore their work! We have Momo (our returning guest designer), Sarah (Live, Love, and Scrap! ), and Julie ( Ready, Set, Stamp). Thank you sooo much ladies for joining in on the challenge this week! I don't think it is up to "par" but it really took up all of the remaining energy I had left in me tonight :) I think it still turned out cute though! Of course the sentiment is from Scrappy Moms Stamps "The Charmed Life" which i just received in the mail today! YIPPEE!!!! 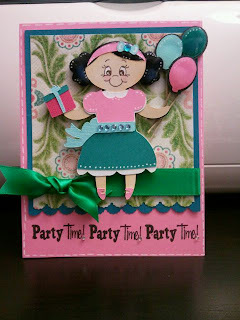 I hope that you guys enjoyed my card and make sure you head over to CRISTI'S blog for all of the details on the challenge AND be sure to link your projects!! We can't wait to see what you come up with! PS.....I chose this girl because she reminded me of the way my Mom would dress me as a kid! 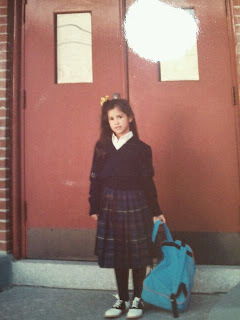 I always had a dress or skirt and blouse on and ALWAYS had a big bow in my hair! I especially remember one birthday where i was dressed just like this but my dress had a black top with an orange skirt to it. I wanted to replicate it but it reminded me too much of Halloween! But here is a picture of my first day of kindergarten! Get some rest and have a great weekend!! Cute card and cute picture! You're lucky, my mom used to dress me in the craziest things and my hair always stuck up everywhere haha. I hope your hubby is feeling much better! Have a great weekend! Trish sorry to hear your husband was sick... all he needs now is more attention.. that always make them better..